Monitoring and analyzing the world’s research output. Publishing content that reflects the most pressing needs of the research community. Moving research forward by inspiring new ideas for investigation. Elsevier eBooks help researchers explore unfamiliar subject matter, branch into related disciplines and test novel theories—giving rise to those serendipitous moments of discovery that are often key turning points in research. 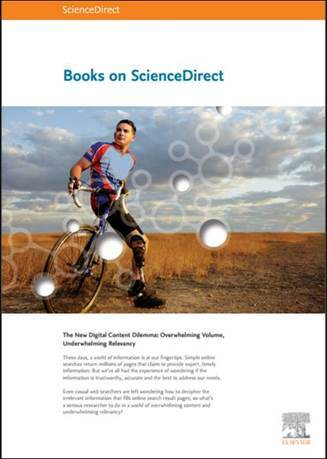 Explore newly available books on ScienceDirect. Download this infographic to see how books and journals work together to enhance scientific exploration and discovery. Meet Sumita Mitra, a scientist for a Fortune 500 manufacturing company whose library research culminated in a groundbreaking invention you probably carry with you every day. Read the articles and join our community of Librarians for up-to-the minute news and announcements.